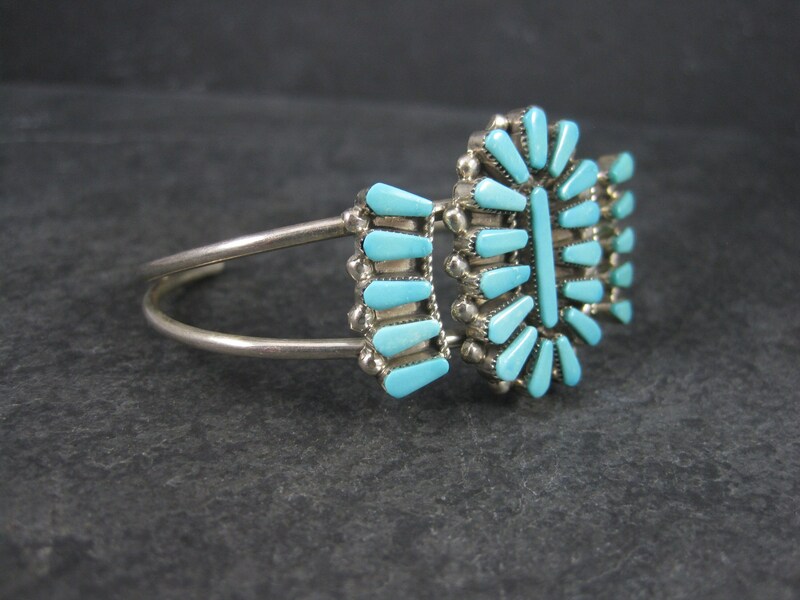 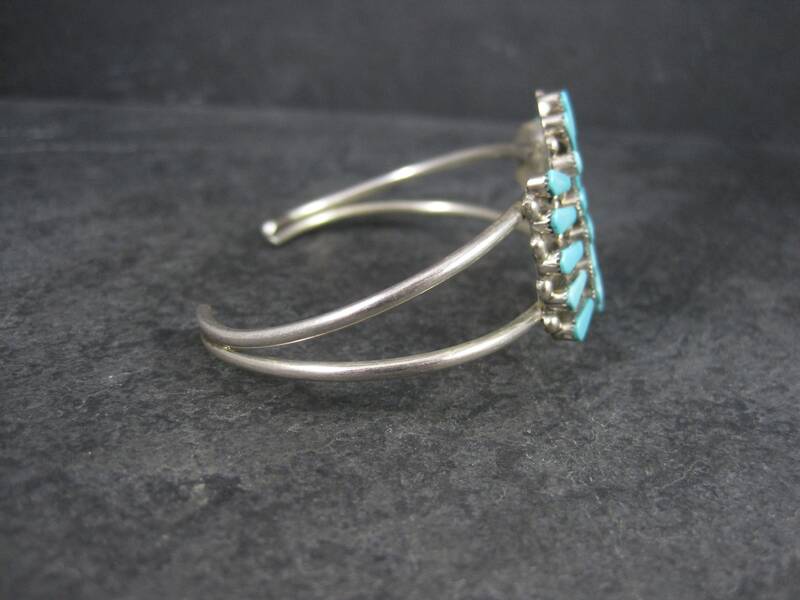 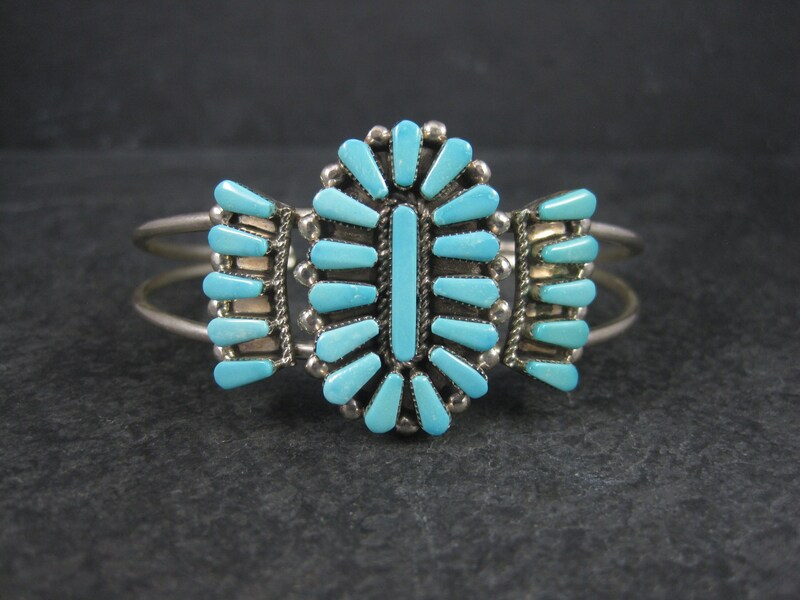 This beautiful cuff bracelet is sterling silver with precise, Petit Point cut turquoise stones. 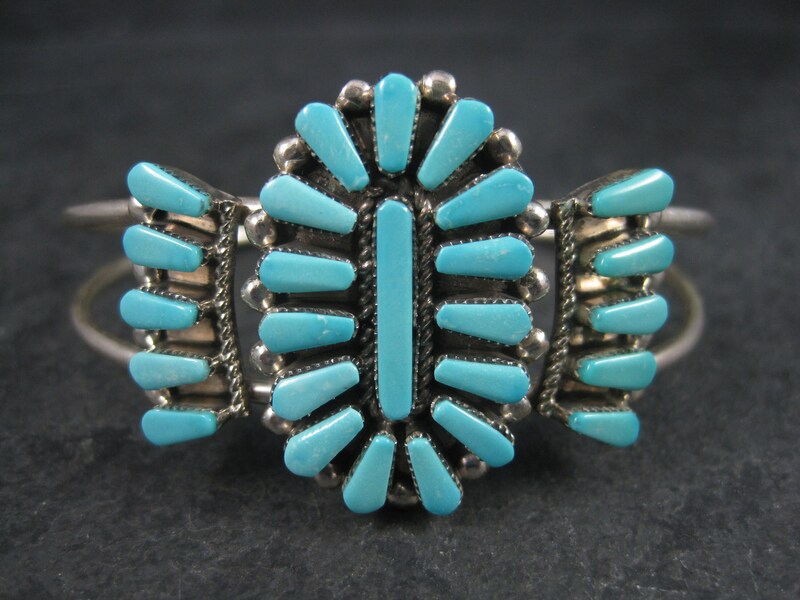 It is the creation of Zuni silversmith Vera Halusewa. 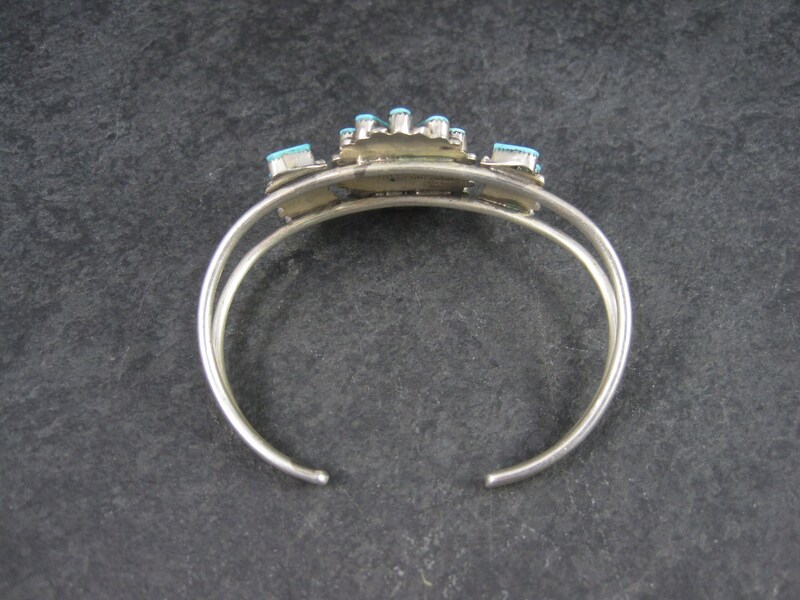 The face of this bracelet measures 1 3/16 inches north to south. 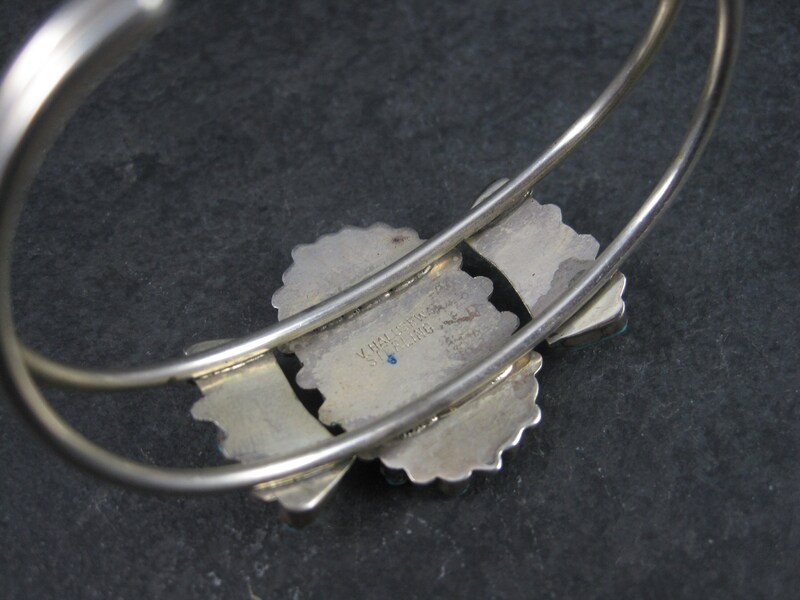 It has an inner circumference of 6 inches including the 1 inch gap.